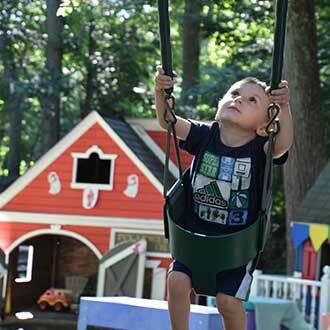 Located on Ivy League School and Day Camp's picturesque 16 acres, The Day Care Center at Ivy League is a New York State licensed, state-of-the-art, private child development center, serving children 6 weeks to 36 months. The Day Care Center at Ivy League is open Monday through Friday year round, with the exception of major holidays. Our Smithtown location runs from 7:30am to 6:30pm. 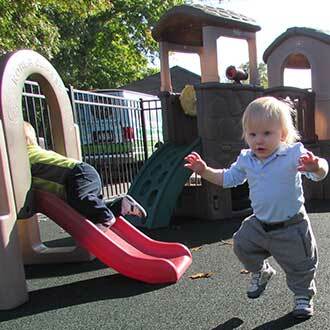 Just a few feet from our center, a secured, age-appropriate playground with child-safe flooring provides lots of outdoor space to enhance your child's motor skills and cognitive development. For our toddlers, an optional program at Ivy League Day Camp is offered. Your child will enjoy a 2-hour camp program on Tuesdays and Thursdays in the afternoons from 12:30pm to 2:30pm. This 8 week program is perfect for children who want to see what camp is all about. Campers as young as 18 months get their own personal counselor and the opportunity to swim in our Froggy pool and experience sports, playgrounds and art activities. This is a one of a kind experience which is only available to our current day care students. We know that safety and security are important, and our high-tech security systems exceed the requirements established by the New York State Department of Children and Family Services and New York State licensing requirements. 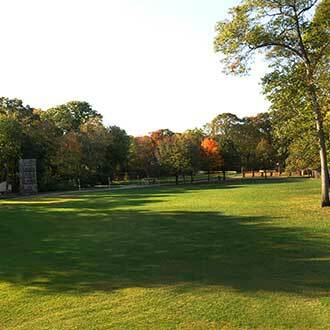 Our secure 16 acre campus in Smithtown is equipped with security cameras, secure doors and a password protected website. Additionally, all of our staff has been fingerprinted and screened by New York State. We understand that as a busy parent the last thing that you want to do is prepare lunch and snacks on a daily basis. Lunch is provided at no additional cost on a daily basis to children entering our toddler rooms and older. Our program consists of freshly prepared favorite foods and local produce with the highest quality nutrition in mind to enable your child to achieve their full intellectual and physical potential. All menus are carefully reviewed by a registered dietician. The Day Care Center at Ivy League provides each child with his own set of linens and blankets for the crib or toddler cot. Each infant has a dedicated crib. Familiar items like sheets, blankets and soothers may be brought in to help your child feel more comfortable. Our dedicated infant suites have everything your child loves from home, including swings, play mats, bouncer seats, soft educational toys and classical music, all to encourage sensory motor development. The toddler and preschool rooms provide space and materials to promote active learning and socialization. These warm and welcoming playrooms are equipped with educational toys and materials, including books and music. Just a few feet from our center, a secured, age-appropriate playground with child-safe flooring provides lots of outdoor space to enhance your child's motor skills, cognitive development, and help strengthen social skills.